Our body is being exposed to excessive toxins, whereby they create a range of illnesses. To prevent such illness one has to be in tune with their body. Many believe that by committing ourselves to a spring-clean once a year is enough! I strongly believe that detox is like diet and exercise, they must become a part of our healthy lifestyle!! At the time we implement a detox lifestyle one must be committed to a healthier eating and/or exercise habit to prevent a build-up of toxins once again!! A spring-clean is an essential part of any preventative system of health care. I prefer to incorporate this detox starting with a 24-hr weekly cleanse at first by choosing a day which suits you best….I personally love it on a Monday as it’s a good way to start my week. Make sure that you stay hydrated on this day…purified, bottled, filtered or distilled water work best, but you can also substitute with natural or herbal teas. I still think and believe in the way my grandmother used to teach me…..always start your day with hot water and fresh lemon. 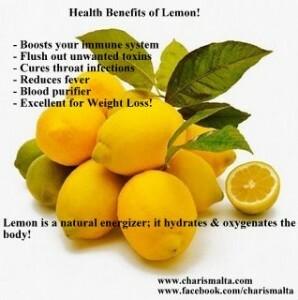 So many are the health benefits of having water and lemon, some benefits are mentioned below. This is the first step of your detox day! The ideal way is to drink lots of fluids and raw fruits/vegetables during this day to flush toxins out of the body. All I can say is that once you try this approach it’s hard that you go back as you will see an improvement in your overall health, especially when you keep it a weekly cleanse. Maintaining a toxin-free body is more than just a one day cleaning system. It’s essential that everyone includes a healthy eating habit daily! !